Circle S studio designed this infographic, “The Science of B2B Online Marketing” to help you visualize the components and the overall process. When it comes to content marketing, the majority of business-to-business (B2B) marketers we surveyed last month are not as mature as they think. Roughly half of respondents (52%) are in the early stages of assembling a content strategy and executing against it. We call this early majority "aspiring editors," and while their practices are often inconsistent or not fully embraced across the organization, these marketers are busy laying the foundation upon which to build an editorial point of view that gives their buyers something useful and valuable to read, watch, or interact with. In a new report, published today (subscription required), we took a closer look at the maturity of content marketing practices among 113 B2B marketing professionals. Half of our respondents hail from companies with 1,000 employees or more, and 41% occupy senior marketing positions including the title of CMO or senior vice president. When compared to peers, most (51%) believe their practices are very mature. But that bar is not very high when an overwhelming 85% can't connect content activity to business value and, as a result, fail to create those intimate long-term relationships that will form the primary source of competitive advantage in business from now on. Content is not marketing's job No. 1. A startling 72% of surveyed marketers say less than half of their marketing staff plays a primary role in content marketing today — leaving content to quickly devolve to talk of products and features, rather than interesting insights buyers crave. It's not a surprise, then, that 87% say they struggle to produce content that truly engages their buyers. Marketers produce content simply to fill the channel. Sixty-two percent admit to producing content on a campaign-by-campaign basis, while 47% said that they focus primarily on creating content for distribution channels like their company website, online advertising, email, and social media. Another 16% said they mainly develop sales collateral. Altogether, this data shows an acute focus on acquisition that practically ignores the remainder of the customer life cycle. They fail to highlight how they help customers become successful. While 71% of surveyed marketers say their content features case studies or customer stories, only 3% admit this is a primary focus of their efforts. Content lacks insight that buyers can turn into action. Only 12% of respondents make publishing research and perspectives the main focus of their content marketing, and no one said they engage external experts to validate those ideas. Marketers focus on creating deals, not on building relationships. While more than three-quarters of respondents say they frequently communicate to their customer base, only 5% make this a priority, proving that marketers are too focused on acquisition rather than creating long-term loyalty. To overcome these deficiencies, and others we detail in the report, CMOs will need to take a hard look at skills, staff, and creative resources directed at content production — because it's clear that staying the current course will not be productive long-term. In the survey, we found just 4% of those we surveyed are true masters of content marketing. We were lucky enough to speak to a few at companies like Computer Sciences Corp, Deltek, Kapost, Sungard Availability Services, and Verizon — you can learn more about their practices and successes in the research. Survey participants who are members of the Business Marketing Association or Online Marketing Institute can apply for a copy of the report here. You can also read the Advertising Age coverage here to get an additional perspective. Next up? A deeper look at why content marketing needs to look beyond the top of the funnel to deliver more impact to the business. And, in August, I'll bring this content marketing insight together during theForrester Webinar "Four Ways To Improve Your Content Marketing Maturity" on August 7th. In the meantime, let me know if you have any interesting content marketing successes to share. Take the assessment yourself and let me know how you score. I look forward to meeting more content masters who deliver the information and insight that buyers value and share. The words “duplicate content penalty” strike fear in the hearts of marketers. People with no SEO experience use this phrase all the time. Most have never read Google’s guidelines on duplicate content. They just somehow assume that if something appears twice online, asteroids and locusts must be close behind. This article is long overdue. 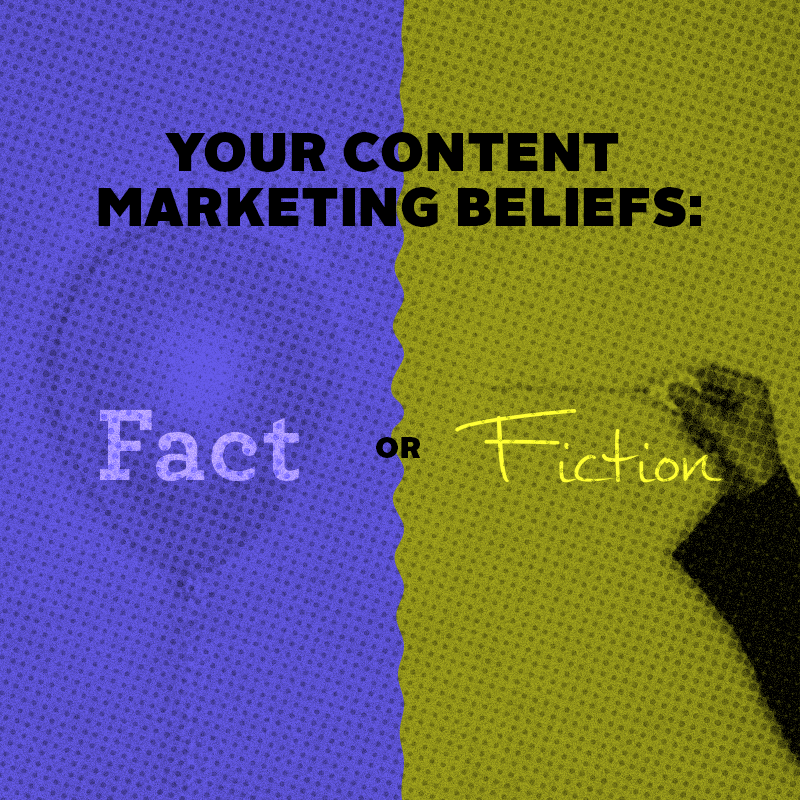 Let’s bust some duplicate content myths. Note: This article is about content and publishing, not technical SEO issues such as URL structure. The day a new website went live, a very lazy PR firm copied the home page text and pasted it into a press release. They put it out on the wire services, immediately creating hundreds of versions of the home page content all over the web. Alarms went off at Google and the domain was manually blacklisted by a cranky Googler. It was ugly. Since we were the web development company, we got blamed. We filed a reconsideration request and eventually the domain was re-indexed. It’s easy to imagine how this got flagged as spam. But this isn’t what people are talking about when they invoke the phrase “duplicate content.” They’re usually talking about 1,000 words on one page of a well-established site. It takes more than this to make red lights blink at Google. Many sites, including some of the most popular blogs on the internet, frequently repost articles that first appeared somewhere else. They don’t expect this content to rank, but they also know it won’t hurt the credibility of their domain. I know a blogger who carefully watches Google Webmaster Tools. When a scraper site copies one of his posts, he quickly disavows any links to his site. Clearly, he hasn’t read Google’s Duplicate Content Guidelines or the Guidelines for Disavows. Ever seen the analytics for a big blog? Some sites get scraped ten times before breakfast. I’ve seen it in their trackback reports. Do you think they have a full-time team watching GWT and disavowing links all day? No. They don’t pay any attention to scrapers. They don’t fear duplicate content. Scrapers don’t help or hurt you. Do you think that a little blog in Asia with no original writing and no visitors confuses Google? No. It just isn’t relevant. Personally, I don’t mind scrapers one bit. They usually take the article verbatim, links and all. The fact that they take the links is a good reason to pay attention to internal linking. The links on the scraped version pass little or no authority, but you may get the occasional referral visit. On the (very) rare occasion that Google does get confused and the copied version of your content is outranking your original, Google wants to know about it. Here’s the fix. Tell them using the Scraper Report Tool. Getting your picture to appear in search results isn’t the only reason to use Google Authorship. It’s a way of signing your name to a piece of content, forever associating you as the author with the content. With Authorship, each piece of content is connected to one and only one author and their corresponding “contributor to” blogs, no matter how many times it gets scraped. There is a big difference between scraped content and copyright infringement. Sometimes, a company will copy your content (or even your entire site) and claim the credit of creation. Plagiarism is the practice of someone else taking your work and passing it off as their own. Scrapers aren’t doing this. But others will, signing their name to your work. It’s illegal, and it’s why you have a copyright symbol in your footer. If it happens to you, you’ll be thinking about lawyers, not search engines. There are several levels of appropriate response. Here’s a true story of a complete website ripoff and step-by-step instructions on what actions to take. I do a lot of guest blogging. It’s unlikely that my usual audience sees all these guest posts, so it’s tempting to republish these guest posts on my own blog. As a general rule, I prefer that the content on my own site be strictly original. But this comes from a desire to add value, not from the fear of a penalty. That’s it! Just add the tag and republish fearlessly. If the original was a “how to” post, hold it up to a mirror and write the “how not to” post. Base it on the same concept and research, but use different examples and add more value. This “evil twin” post will be similar, but still original. Remember, Google has 2,000 math PhDs on staff. They build self-driving cars and computerized glasses. They are really, really good. Do you think they’ll ding a domain because they found a page of unoriginal text? A huge percentage of the internet is duplicate content. Google knows this. They’ve been separating originals from copies since 1997, long before the phrase “duplicate content” became a buzzword in 2005. Disagree? Got Any Conflicting Evidence? When I talk to SEOs about duplicate content, I often ask if they have first-hand experience. Eventually, I met someone who did. As an experiment, he built a site and republished posts from everywhere, verbatim, and gradually some of them began to rank. Then along came Panda and his rank dropped. Was this a penalty? Or did the site just drop into oblivion where it belongs? There’s a difference between a penalty (like the blacklisting mentioned above) and a correction that restores the proper order of things. If anyone out there has actual examples or real evidence of penalties related to duplicate content, I’d love to hear ‘em. About the Author: Andy Crestodina is the Strategic Director of Orbit Media, a web design company in Chicago. You can find Andy on Google+ and Twitter. If that’s simple, then why do so many social strategies fail? Chances are that they’ve committed one of the following mistakes. But, don’t worry. These are mistakes that should be easy to correct. You’ve obviously created a list of core values for your business. If not, how else can you explain to others the purpose of your business? Because you have already established a mission statement, goals, deadlines, and a brand image, setting up a social media strategy should fall into place. At least in this area. Everything that you do, or want to accomplish, on social media should be based on the values of your business. This not only guides your content and business objectives on social media outlets, but it can also generate some buzz about your brand, since you’ve also already identified your target audience and are aware of their wants and needs. So, if you open a restaurant that serves only organic items, explain your reasons for opening up that business to potential customers. You’re not doing this because it’s a trendy business right now. You’re doing this because people aren’t eating healthy and you want to change that, at least in your neck of the woods. Share content that explains why organic food is healthy for locals and what your menu has to offer your neighbors. What’s the point in creating something awesome if no one is going to check it out? A social media campaign demands consistency. We’re not just talking about quality and useful information for your audience, either. We’re talking about frequently sharing that valuable content. But, how much and when do you update statuses? You also want to know when do they go on social media outlets. For example, you could send out about 14 tweets per day, from midnight to 10pm. They just have to be spread out during the day so that your followers’ accounts aren’t flooded. The reason why you want to post throughout the day is in case if you have a global audience, which is why you could schedule posts at 2 a.m.
To make sure that you remain consistent, try using a tool that schedules and hosts all of your accounts in one place, like HootSuite, Buffer, or SproutSocial. I personally like Buffer. And it wouldn’t hurt to create an editorial calendar, which you can do on a program like Excel. An editorial calendar keeps you organized and directed since it contains a deadline, target keywords, the format of the content, call to action, and status. And it has the ability to double your ROI. Here’s a common mistake: not understanding that all social media outlets are different. For example, Facebook is great because it’s the most frequently used social media service and it’s the most trustworthy. But, it may not fit your business. Going back to the organic restaurant example, that business should focus on a more image-based platform like Instagram or Pinterest because that’s where foodies go to share and engage. But, a law firm wouldn’t really benefit from being on Pinterest. That audience isn’t there because they don’t want to look at images of a law office; they want information on how they can be helped. A final example would be not targeting baby boomers on social media, despite the fact that they’re the fastest growing group on social media. Again, it’s discovering who your audience is and where they spend most of their time. Doing this ahead of time will determine where you should focus your social media efforts. And it doesn’t take much time either. You could begin by checking out stats, like from Pew Research, that break down the demographics of each social network. Or, simply ask current customers. Just spend the extra time in understanding which network is most effective in reaching your audience. Content. Content. Content. That’s all you keep hearing about when it comes to a social media strategy. And that’s because it’s a major part of your campaign. But, if everyone else is creating and sharing content, why should people like, share, or comment on your content if it’s the same as everyone else’s? When coming up with ideas, try and develop ones that are unique. At the very least, your ideas should be tailored to your audience. What we mean by that is putting a spin on your particular content. For example, that organic restaurant we’ve kept talking about wants to create an article like “The 10 Reasons Why You Should Be Eating Organic Food.” Sure, that gets to the point and works for that business, but it’s been done many times before. Instead, narrow that topic down to something like “The 10 Reasons New Yorkers Should Eat Organic Food”. It’s the same idea, but it now focuses on the people where the restaurant is actually located. This is more beneficial than paying someone to write or create content that has already been done hundreds, even thousands, of times before. If you need some ideas, we suggest that you read this article from Search Engine Journal for blog ideas. While you’re on social media to push or promote a product or service, you can’t do that all of the time. People will tune you out if all you’re doing is throwing out sales pitches. Why? Because that’s not the point of social media. It’s about conversations and engagement. Instead of just shouting at your audience, take the time to actually listen to them. This could be as easy as asking for feedback or sharing their thoughts on a piece of content that you shared. When you actually listen to your audience on social media, you’ll get a better understanding of what they liked and disliked, as well as the information that they would like to see. When you understand your audience, you can produce content that they would actually want to read and share. That’s a better option than wasting resources on content that your audience doesn’t respond to. What all of the previous example boil down to, however, is monitoring and measuring your social media outlets. Even if you have identified your audience and the right network to deliver your message, you still need to keep tabs on how effective your content has been. For example, you realize that Facebook is the best network for your brand. But, how well is your Facebook campaign doing? How many likes or shares is your content receiving? Are people leaving comments? Are you making any money or new subscribers because of your awesome Facebook content? These are important questions that need to be answered. If not, you’re continuing to create and promote content that isn’t triggering a response from your audience. And that’s just a waste of time and money. The best way to discover this information is through the use of tools like HootSuite, Klout, Social Mention, Twitter Analytics, Facebook Insights or Keyhole. Not only will these tools measure your social media success, but they will also increase your ROI. And did we mention that they are all free? According to Crowdtap, partnered with Ipsos Media surveying 839 millennial men and women online, millennials reported spending roughly 18 hours of their day engaged with media, often viewing multiple devices simultaneously. Whether it’s called peer-created content, consumer content or user generated content (UGC), the research found that millennials spend 30% of their media consumption time with content that is created by their peers. This exceeds television consumption and is rivaled only by the time spent with all traditional media types (TV, print, radio), a combined 33%. Millennials are also committed to engaging with social media on a daily basis above all other media types. Blog online, post to bulletin boards, etc. Read blogs, bulletin boards, etc. Given millennials’ advertising savvy and skepticism around media, it is important to deliver a message through trusted sources, says the report. Millennials report that information they receive through UGC is highly trustworthy and trusted 40% more than information they get from traditional media sources (TV, print & radio), including newspapers and magazines. Specifically, conversations with friends and family are the most trusted UGC format, followed by peer reviews. Conversations with friends and family are trusted 2:1 over TV and radio and almost 4:1 over banner ads. Brands looking for consumers to trust their marketing can no longer rely on tradi­tional media to communicate their messages to consumers. In today’s landscape, it’s peer-created content, or “consumer to consumer marketing,” that drives trust. The correlation between trust and influence is revealed in the 2013 Annual Edelman Trust Barometer Study, says the report, which finds that trust leads to influence. The more trusted the source of a message, the more likely it will have a positive impact. Blogs, bulletin boards, forums, etc. With 18 hours of media consumption a day, across multiple screens, with channel flipping, tabbing and page turning, it’s a wonder anything stands out and makes a lasting impression, notes the report. Marketers rely on creative to break through the clutter, but often it’s a combination of creative and the right delivery channel. For millennials, user generated content is more memorable than non-user gener­ated content, with peer-created content, including conversations with friends/family and peer reviews standing out the most. UGC uniquely provides marketers greater access to millennials’ time, a trusted channel to deliver brand messages and a memorable experience. The combination to deliver all three makes UGC more influential on millennials’ product choices and purchase decisions than traditional media. Concluding, the report says that professional influencers have the reach and resources to create and share quality content. Consumer influencers have personal relationships that enable their recommendations to carry weight. Together, this combination can drive both reach and powerful influence. As brands continue to aggregate types of influencers and refine their strengths, these programs will likely become a fundamental component of most marketing strategies. Challenge: Customers want to be actively involved in their own brand experiences. To meet this demand companies are developing innovative experiential marketing campaigns utilizing the virtually limitless opportunities of multichannel engagement. These new strategies are giving both existing and new customers a reason to take action. Though most viewers may have been focused on the dresses and the winners pulled from those closely guarded envelopes, Vanity Fair magazine saw the Oscar Awards as an opportunity to engage its readers through an experiential event known as “the Vanity Fair Social Club”. The virtual event was created to allow more than 120 bloggers and online reporters to connect with customers using the specific event hash tag. The magazine plans to use this type of experiential marketing strategy for other major events. Vanity Fair is on the right track because today’s customers want more than traditional push marketing interactions, this according to a new report on Experiential Marketing from CrossMark and MarketingWerks. • 88 percent of shoppers say that if they enjoy an experiential interaction with a product they’ll add it to their shopping list. • Eighty percent said they prefer brands that “interact” with them over those that just “advertise” to them. • Seven out of 10 shoppers say they’ll share a positive brand experience. • Today, the starting point for marketing campaigns should be to understand how your customers define high value Customer Experiences with your specific brand. Last year when Frito Lays asked customers to “Do us a flavor” over 3.8 million people said yes in just 12 weeks with entry submissions. The goal of the campaign was to turn around a 6 year decline and connect with younger consumers. The campaign was based on insight that consumers wanted to create, share, and get recognized. So a contest was created to demonstrate to customers that their voice indeed mattered. An engagement tool from start to finish, the contest allowed customers to submit new flavors, share them on Facebook, vote on the finalists and then pick the ultimate winner by purchasing samples of the 3 finalist flavors in stores. • And, a 2%+ increase among millennials. 1. Understand how your customers want to structure their buying experience and the level of involvement they demand within that experience. 2. Be committed to doing the research necessary to identify engagement “unknowns” that may have been previously overlooked such as media avenues, social interaction, and in-store experiential marketing. 3. Realize that today’s multichannel consumer is in more places (often simultaneously) than ever before. Be accessible in cross media avenues. 4. Always look at what you are doing through the eyes of your customer. Let both existing customers and prospects identify with your brand. Make them feel understood. 5. Look at both your current and future audiences in order to connect with the audiences that will continue to support the brand down the road. This article is an original contribution by Ernan Roman.